This isn't the prettiest topic, but it's something on my mind and probably yours, too. This post has been in draft form for quite a while now but I recently checked something related off my to-do list and now feel like I have something good to share. So, I really appreciated the academic and logical look the author took at examining happiness (why is it a good goal? What does it mean? Is it an end goal at all? What are the principles and foundation of attaining it? ), and I love accepting and engaging with the idea that I can take control of my mood and practice happiness, the same way I approach my goals. I think it's part of the common challenges of our busy lives and having so many interests and so many options these days, it's easy to not think about what we need to live a happy life. These books have also inspired me to put up visual reminders of my goals and principles, or at least of quotes that I really like and want to remember. It's been on my to-do list to make up some pretty posters that I can frame, to look at every day and enjoy. So I finally got to it. And I'm happy to share them with you! 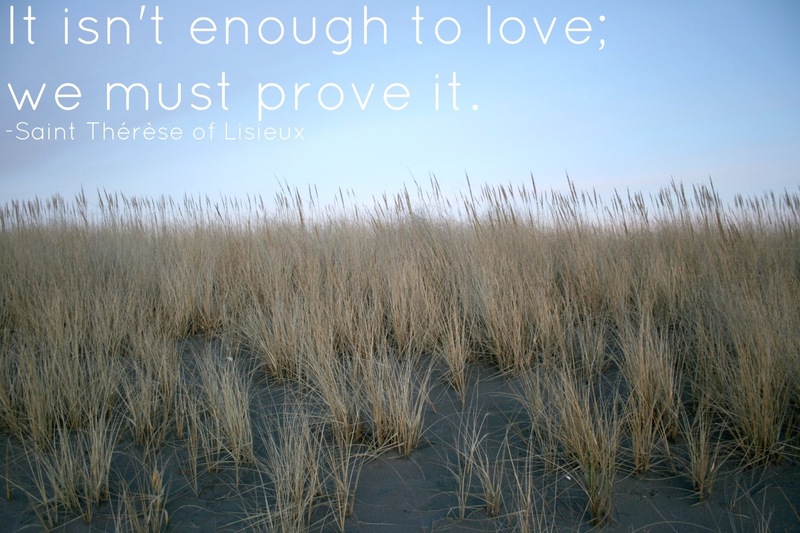 This one is in both of the Happiness Project books, and I'm still chewing on it, but I like it. 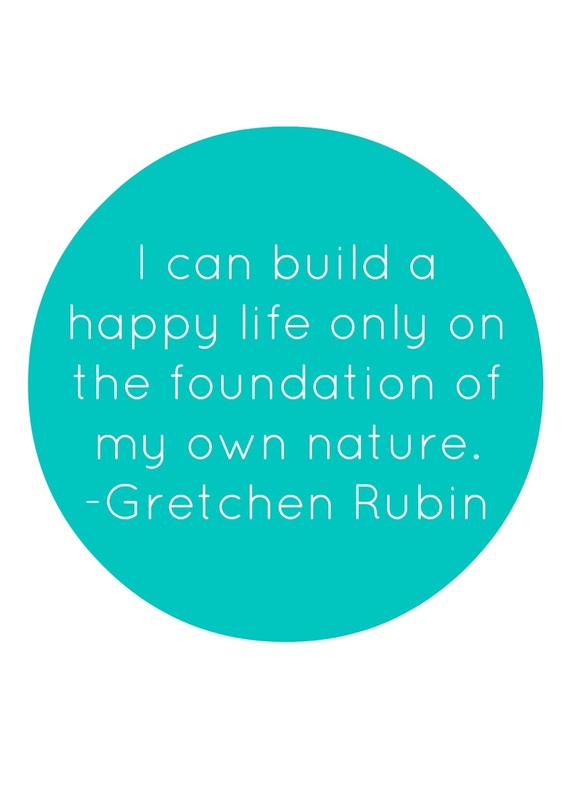 One of the Happiness Project goals was changing your life without changing your life, and that sounds good to me--I'm satisfied with so many things about my life, but want to capture a mood that is sometimes hard to remember. But maybe it's with me all the time, and I just need to learn to pay attention! And here's great one from the second book, Happier at Home. 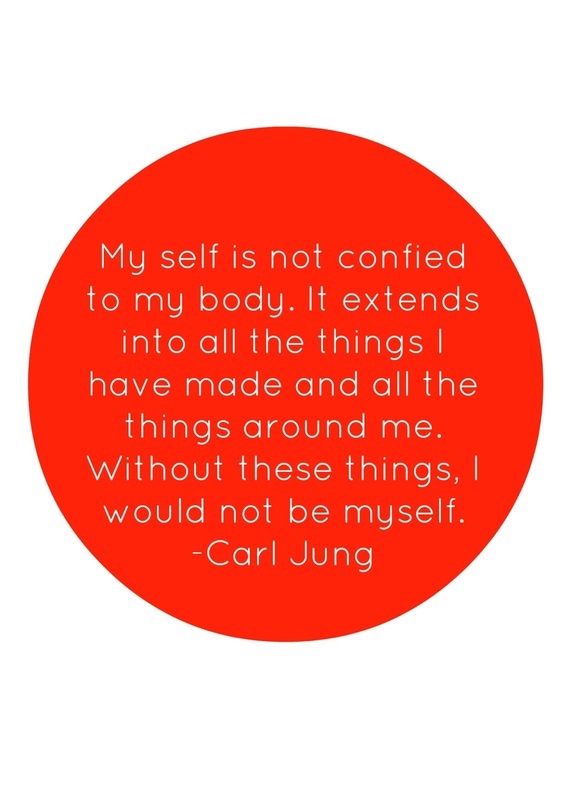 I love this because I do think about possessions and physical things as being really important, and it's nice to remember that there are important reasons for that--it's not just shallow materialism, but a real connection to things I've made and arranged and curated. Obviously as a creative and artistically-minded person, this is important to me, and as a "nester" with my natural urges to create a comfortable, beautiful home, this really rings true. (But also, as she says in the book, possessions can be important for happiness for completely non-materialistic reasons if we engage with them--either by use or by response, like how you feel when you walk past a photo of family. "When I felt engaged with my possessions, I felt enlivened by them, and when I felt disengaged from them, I felt burdened." (page 28) Another underlined, starred, sticky flagged passage for me. I want to surround myself with important, beautiful things and get rid of the rest, the messy stuff I don't need or love. Another great one about the home. Such an obvious concept, right?! 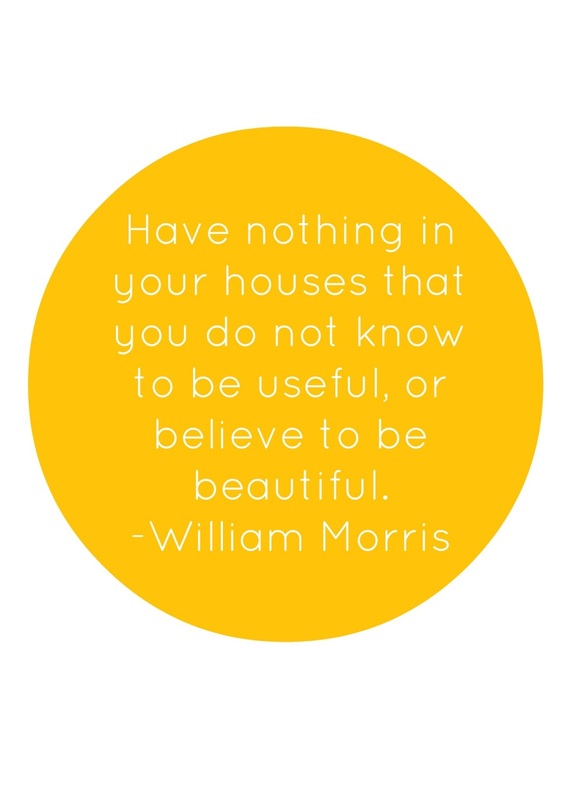 But somehow we needed William Morris to say it to make it sound so universally true. Those were the simple ones that I thought would be cute in circles. Wish I had more graphic design skillz ;) so I could come up with something besides a circle. But, hey. The colors and words and font are important, and I've got that part down. I dream of my gratitude poster! I also still want to make myself a "gratitude poster," as I've been calling it on my to-do list. A pretty image I can frame and put somewhere I look at every day, to remind myself of all the wonderful things in my life I have to be grateful for... but that one may be a bigger project. Want it to be really pretty and really big! So I don't miss it when I walk by. I love the gratitude exercise idea, thinking of things you're grateful for every day, and think it would make me happier to see that list like a mantra. How do you handle stress and balance your life to practice happiness? I really like the idea you proposed of having quotes and principles that you want to remember displayed in frames in the house. I'm going to take inspiration from your inspiration and go looking for what quotes I want to have visible reminders to take a step back and breathe and direct myself towards good things rather then reacting just to the negative- thanks! A gratitude poster sounds amazing! I may have to make one for myself. Perhaps a collage of photos of all the things I have to be grateful for? That would be great, very personal! Sometimes, these little quotes are whats needed to perk you up again. Thanks!